Teaching Drivers Education For Generations! Spring 1962: Ray Ries completes secondary teachers’ Driver Education program at UWO. He is now qualified to teach Driver Ed at the high school level. Summer 1962:Ray introduces Driver Education in Fond du Lac by teaching the first 19 students Classroom and Behind-the-Wheel at Goodrich High School. 1967:Ray begins twenty years of full-time Driver Education instruction at Goodrich High. 1968:Wisconsin passes law requiring students under 18 to take Driver Education. 1969:Ray founds Ries Driving School, teaches Classroom part-time in basement at home. Fleet for Behind-the-Wheel instruction consists of one 1969 Ford Galaxy. Family members help run home-based business as they are able. 1986:Ray’s son Joe becomes a licensed Driver Education instructor through UWO. 1989:Joe Ries acquires Ries Driving School, offers full-time private Driver Education. 1991:Ries Driving School moves to 339 South Main Street. 1992:Joe hires first office manager. 1994:Joe begins remodeling process at 339 South Main Street, expands service area to include Waupun and Campbellsport. 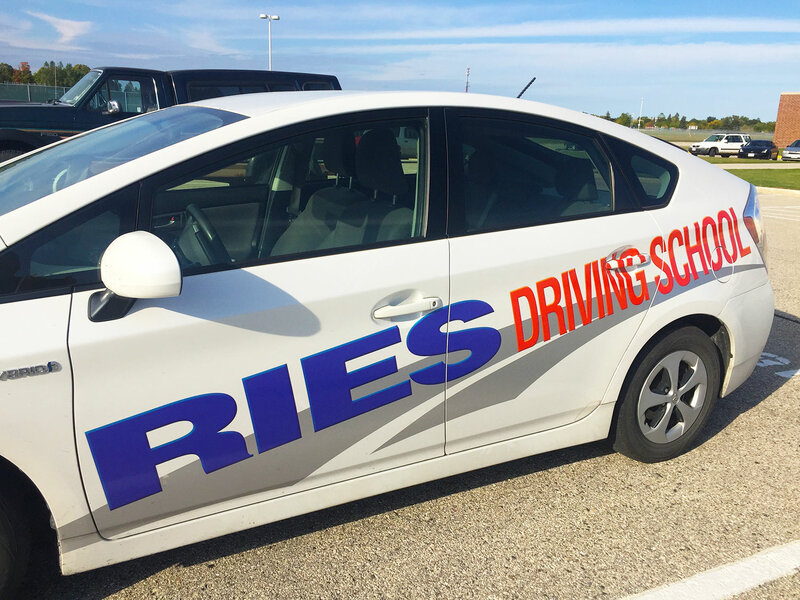 Present:Ries Driving School services communities in a 40-mile radius with Classroom and Behind-the-Wheel programs. Behind-the-Wheel fleet consists of eight cars.